The 160kg-180? Electric Rotation Vacuum Lifter is uniquely useful in rotating and lifting stone and glass sheets with varied orientation of 90-180 degrees. Driven by a 220v – single phase electric motor, the 160kg-180? 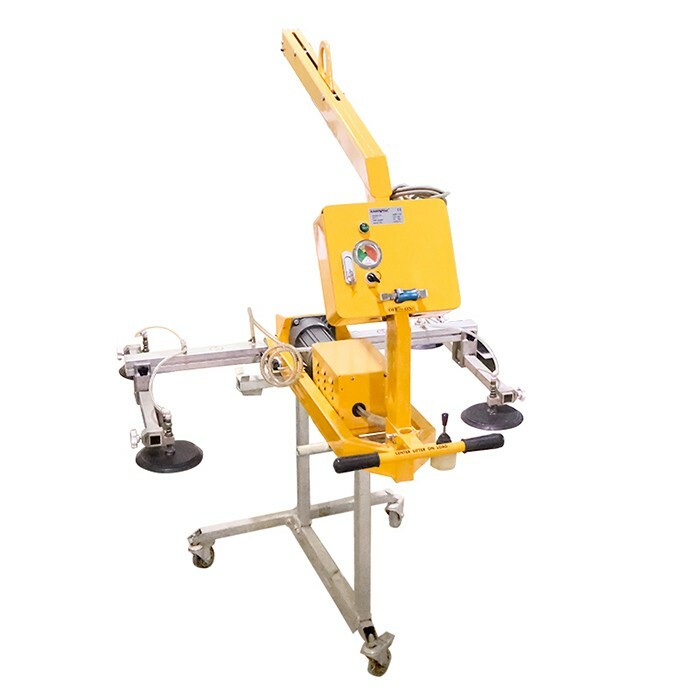 Electric Rotation Vacuum Lifter is equipped with a gas spring controlled hook attachment that allows for the self-adjustment and balance of the load and lifter upon lifting the load. Slider valve with on & off position for the attachment of material to vacuum pads and release of material from vacuum pads. A pressure switch automatically senses a drop in vacuum level and restarts the vacuum pump to maintain adequate vacuum pressure. For the safety of operator, the vacuum lifter is equipped with an audio alarm and visual vacuum gauge to warn in event of leakage or low vacuum level.